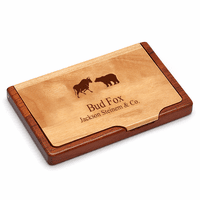 Keep your business cards neat, orderly and always available to hand out to potential clients with this bull & bear theme desktop business card holder. 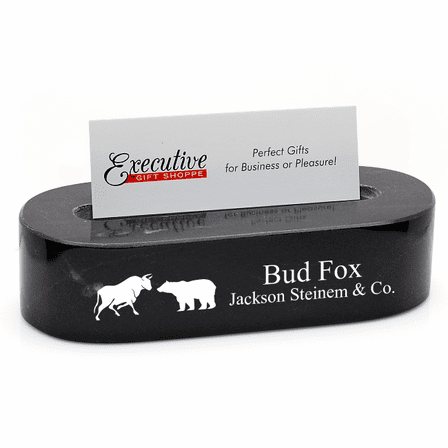 Made of solid marble, it is made just for business people in the financial services industry. You know, wall street types. 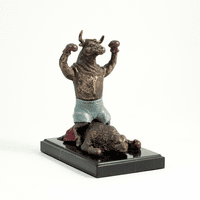 It features a laser etched bull & bear emblem, the symbols of wall street. 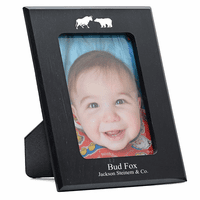 The laser engraving produces a white print that contrasts beautifully with the black marble. Add your own custom engraving to the right of the emblem free of charge, perfect for a name and job title or a name and company. 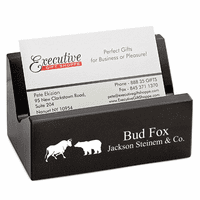 This wall street business card holder holds up to twenty five business cards and comes packaged in a gift box.